One (1) New Aftermarket Replacement Front Side Screen made to fit John Deere Tractor models: 4050 (From Serial Number 5511), 4055, 4250, 4255, 4450, 4455. 26-1/4" x 24-3/4" Screen with Wire Clamp & Knob. Our processing system is automated. 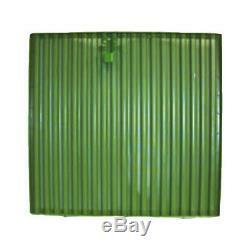 The item "RE12764 One New Side Screen for John Deere JD Tractor 4050 4055 4250 4255 4450" is in sale since Thursday, April 24, 2014. This item is in the category "Business & Industrial\Heavy Equipment Parts & Accs\Tractor Parts". The seller is "reliableaftermarketpartsinc" and is located in Williamston, Michigan.